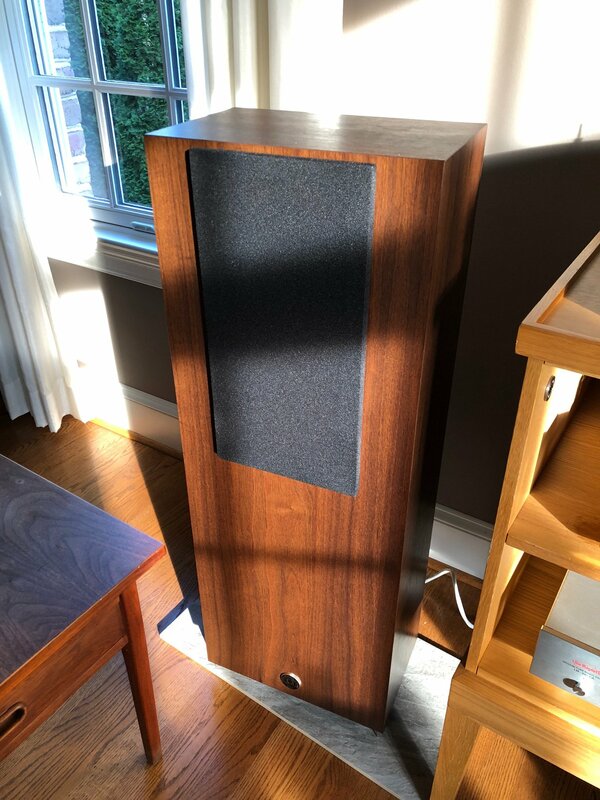 For sale (or trade) is this awesome pair of Omega Super 6 Alnico XRS speakers in beautiful walnut veneer. I ordered these from Louis Chochos at Omega Speaker Systems a little over a year ago and they remain in mint condition. Shortly after I received them, we decided to move from Virginia to Michigan, so these speakers have been in their original boxes for several months. They're just about broken in, with maybe 200 hours of listening, but are otherwise like new. These are the updated version of Omega's very highly regarded Super 6 Alnicos -- with a larger, wider cabinet for deeper bass and wonderful midrange dispersion. If you're familiar with Omega, you know Louis' single-driver designs are renowned for their almost electrostatic speed and remarkable imaging. What the Alinco versions add on top of this is a richness and level of microdetail that is really stunning. Don't let the relatively small driver fool you. These speakers sound enormous. They truly excel at midrange -- vocals, guitar, piano -- but will really blow your mind with their bass performance. They go deeper than you'd imagine too, and do it with finesse -- so much so that I ditched my REL subwoofer because it only muddied up the bass. If you can't tell, I'm a huge fan of Omega speakers. At 97db efficiency, these speakers pair beautifully with low-powered tube amps but also sound great with solid state gear. I'm only selling these because I have another pair of Omegas (smaller Super 3S's), that I'm using in my office and I don't have a good room to use these in. These cost $3200 new and take about six weeks to have built. I'm asking $2,300 -- a deal considering they're essentially new. I live in Northville, MI, and would love to do a local deal in the Detroit area, but I'm willing to ship. Also: I may be open to a trade for Heritage-series Klipsches (other than Heresys). Just let me know what you have in mind! 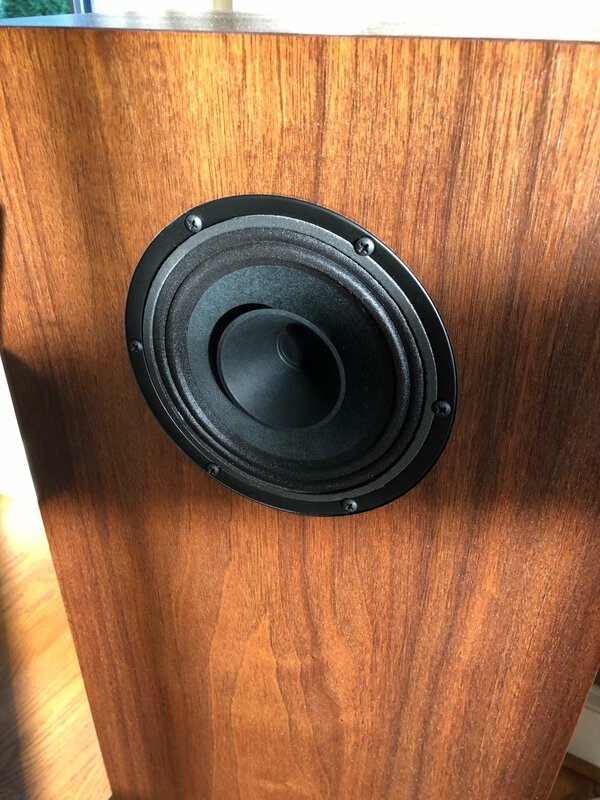 One last note: If you have questions about these or other Omega speakers, I'd highly recommend giving Louis a call at Omega. He's a great guy who is highly respected in the industry and is super friendly.